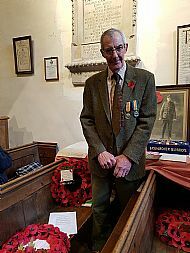 Cllr Chris Worley presented the Remembrance wreath during the Remembrance service at Felixkirk church. 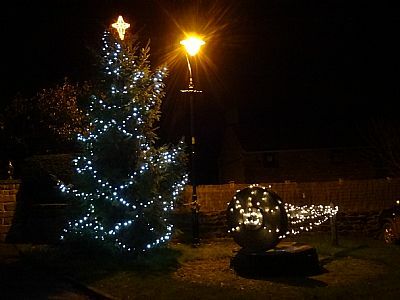 Hambleton District Council have presented a TdeY plaque to the village. 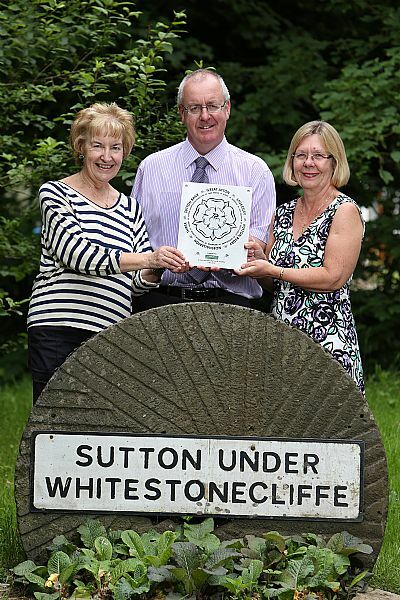 The photo below was taken when Dr Gill Wight, Chairman Village Hall and Cllr Caroline Artingstoll, Chairman Parish Council received the plaque from Cllr Mark Robson, Leader of HDC. 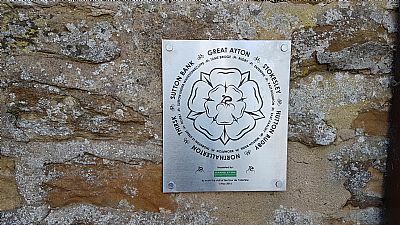 The plaque has been sited next to the Parish Council noticeboard. 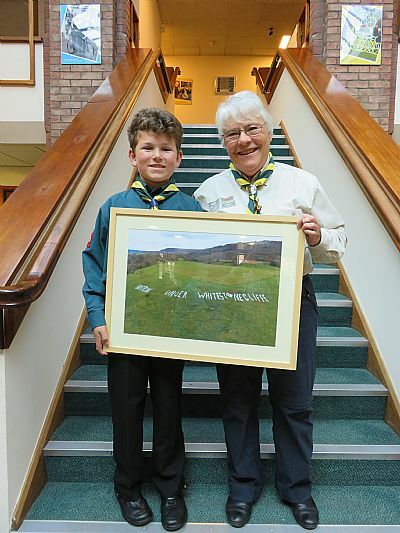 Hambleton District Council have presented a framed photo to Hillside Scout Group in recognition of their efforts in creating the Land Art which was sited on the outskirts of the village towards Sutton Bank. Group Scout Leader Iris de Wet (also our Parish Clerk) and a Scout accepted the framed photo on behalf of the Hillside Scout Group. 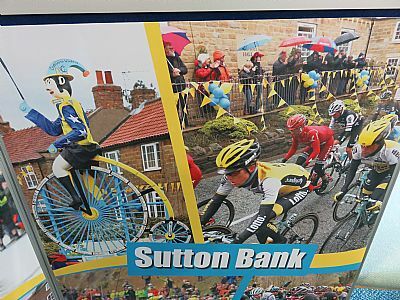 Hambleton District Council has a Tour de Yorkshire photograph display in their foyer at Stonecross. 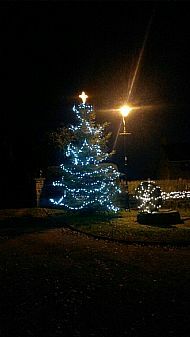 The photo below is an example of their display. 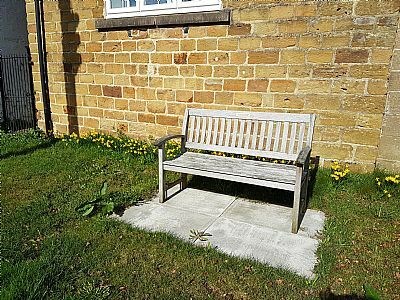 This bench was donated 'for all to enjoy' and is sited to the West of Sutton Hall. 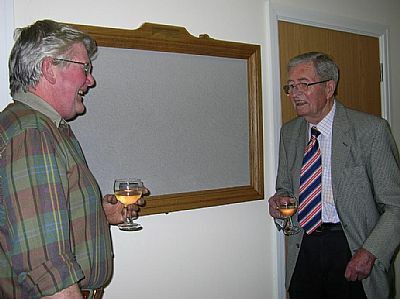 Unveilling of the notice board in the village hall by retired Cllr Denis Howey on 25 March 2010. 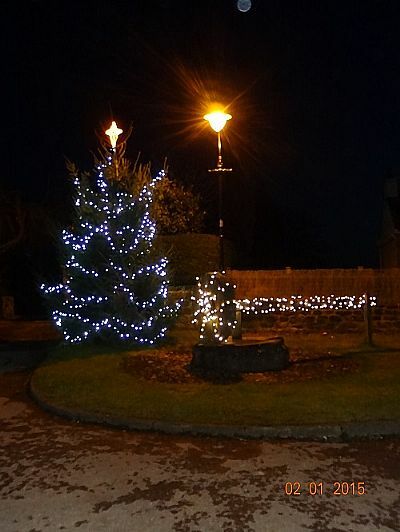 The notice board was donated by the Parish Council to the Village Hall.